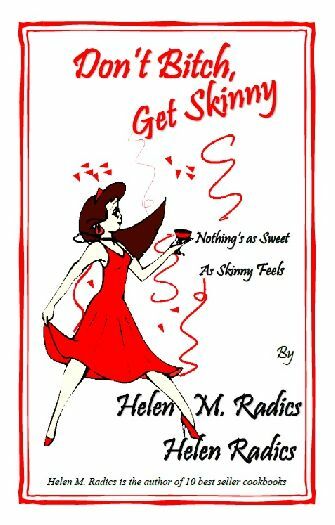 Cookbook author Helen M. Radics paired up with her daughter, Helen Radics and together they created a very unique book. To be honest most of us would love to lose a few pounds and after receiving hundreds of e-mails form their fans, the mother-daughter team decided to create a diet book that not only helps you lose weight, but change your lifestyle as well. Soon you will realize that healthier eating habits don't need to be a hassle and nuisance. The worst part of any weight loss program is that you feel alone and without support. This is no longer the case. The two Helen's will help create a healthier, happier you through their cookbook. Whenever you purchase their e-book or its printed version, you will be able to contact the ladies if you have a questions. The book contains guidance, advice, healthy snacks, dishes, desserts, sample menu and so much more to make your lifestyle change easier. Good luck!